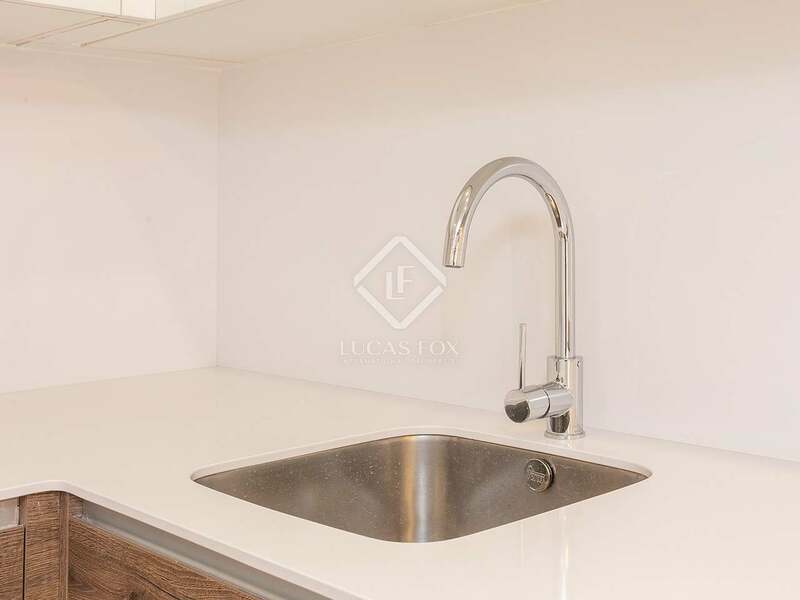 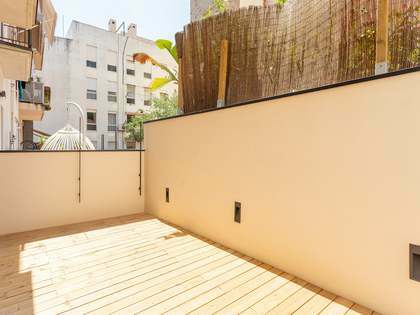 Newly renovated apartment for sale in El Born, Barcelona with views of Palau de la Musica Catalana. 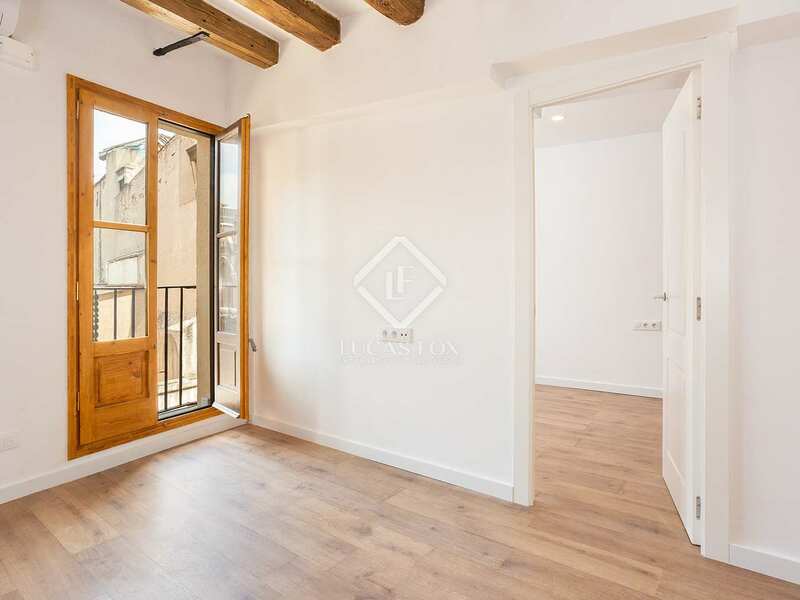 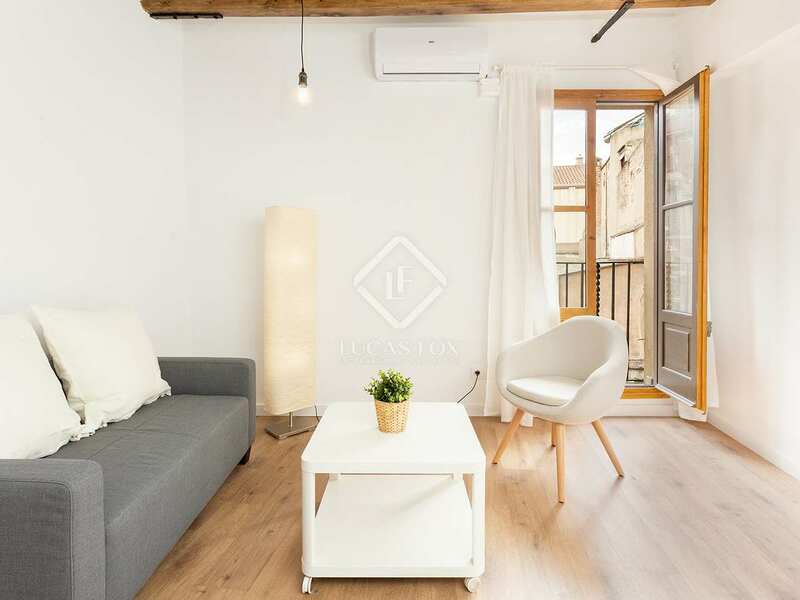 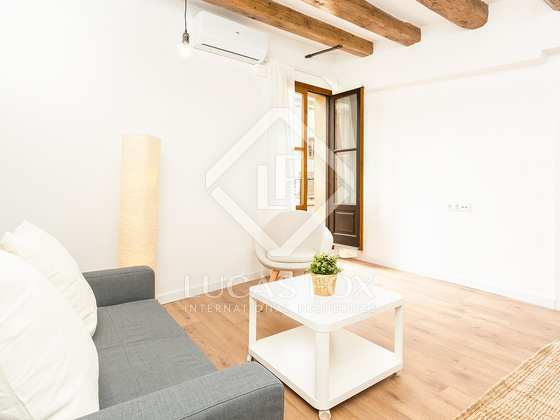 With lovely views of Palau de la Musica Catalana in Barcelona's El Born neighbourhood, this apartment is perfectly located to enjoy the charming Old Town. 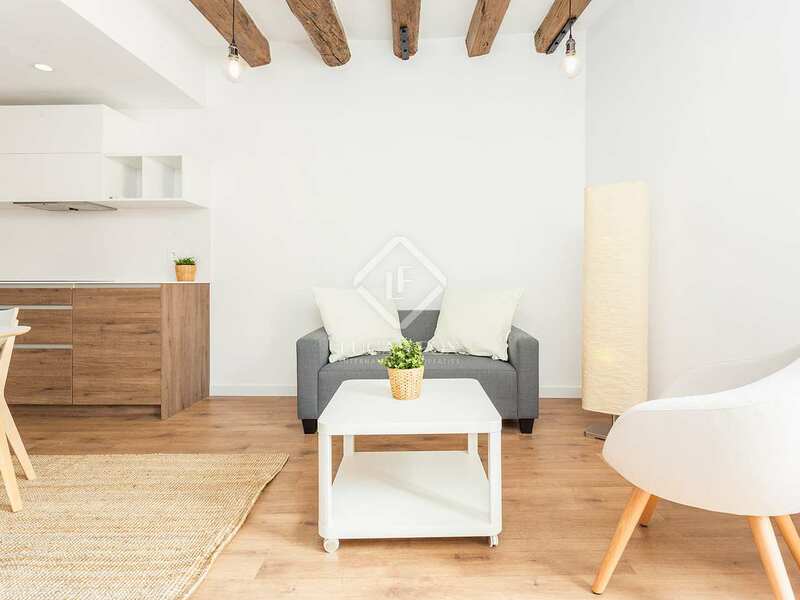 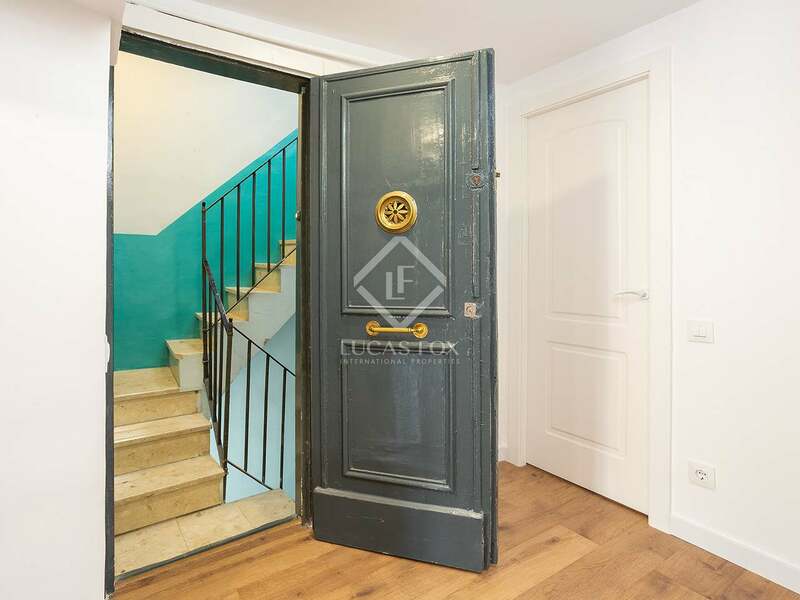 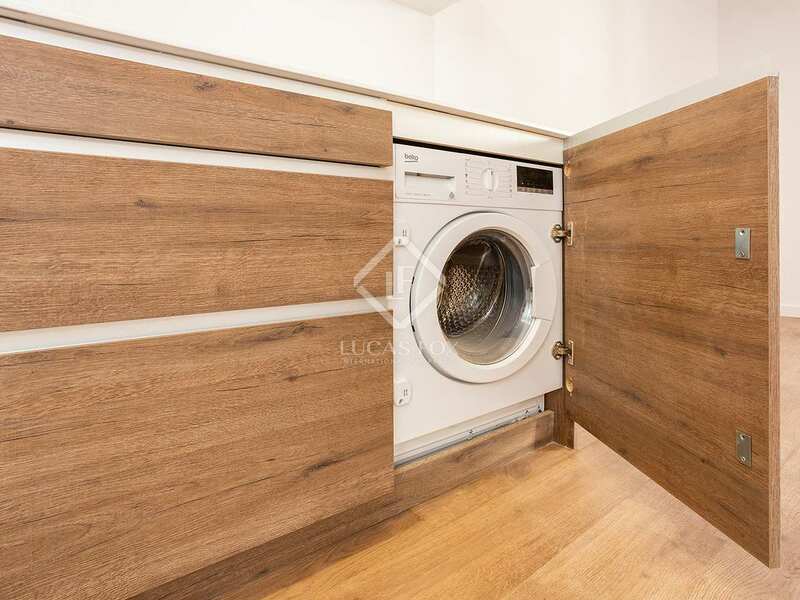 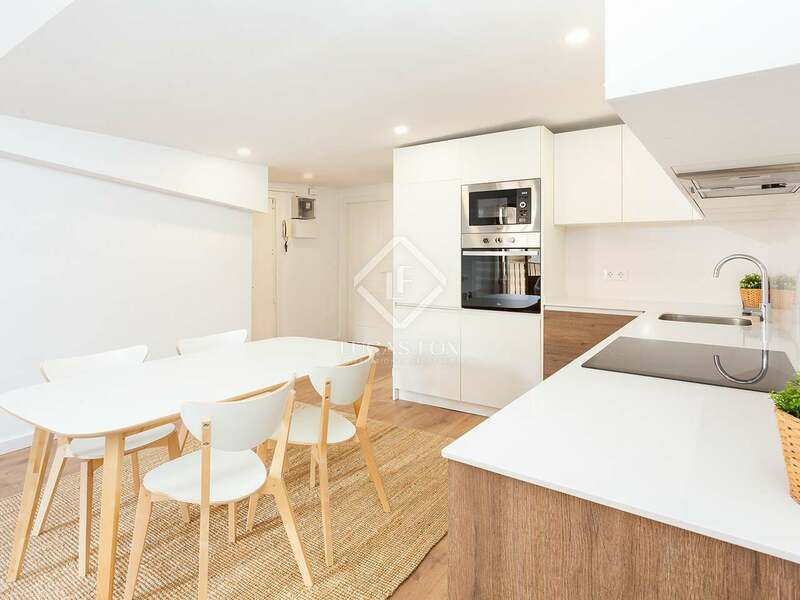 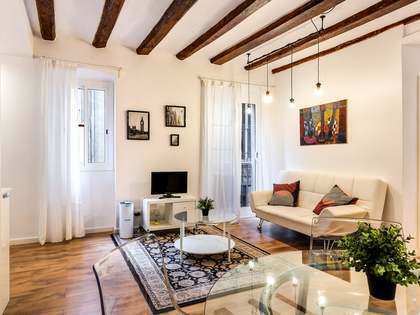 Dating back to 1840, the apartment has been recently renovated and is presented in excellent condition, with modern finishes and bright living spaces. 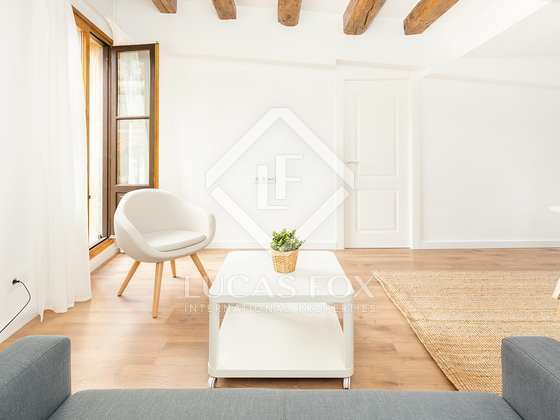 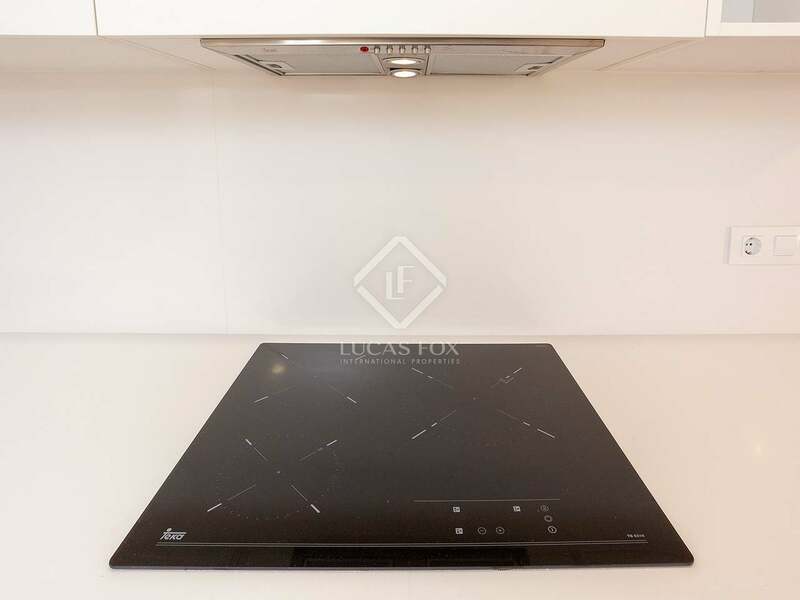 The apartment has an open plan living area with a well-equipped kitchen and parquet flooring. 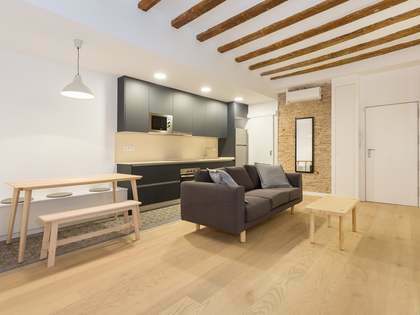 Exposed wooden beams add character to the modern space. 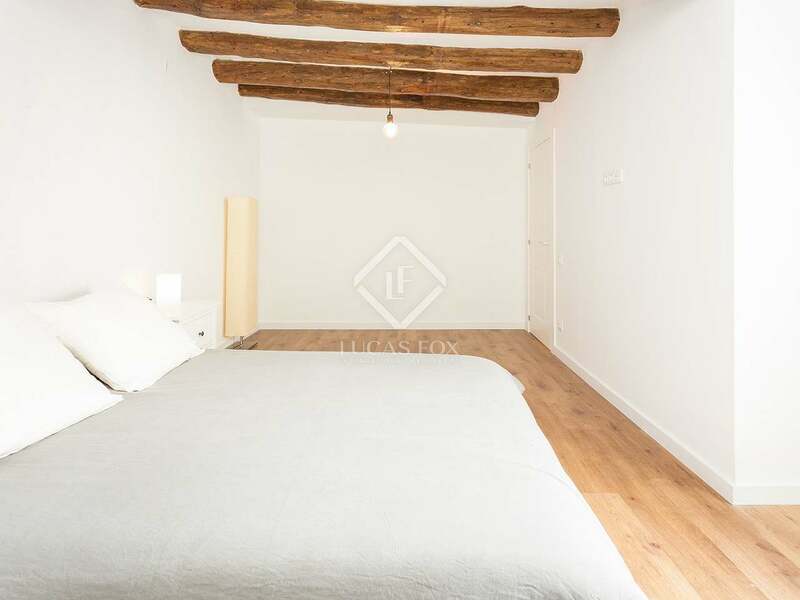 There are 2 well-sized bedrooms and 1 bathroom. 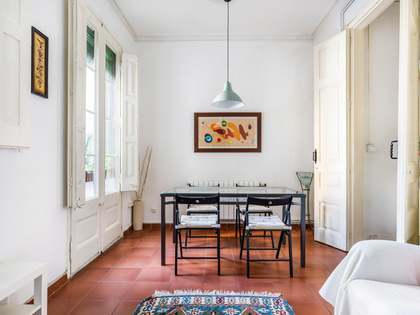 Heating and air-conditioning ensure year-round comfort. 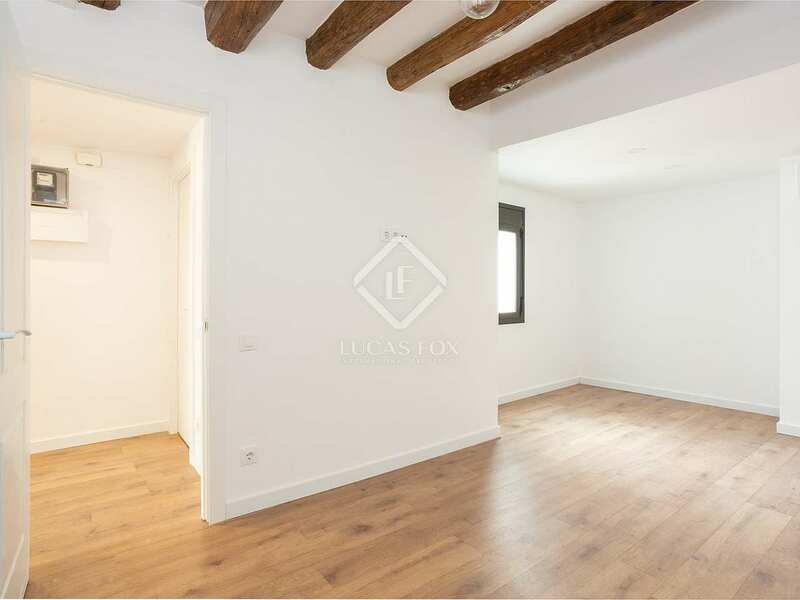 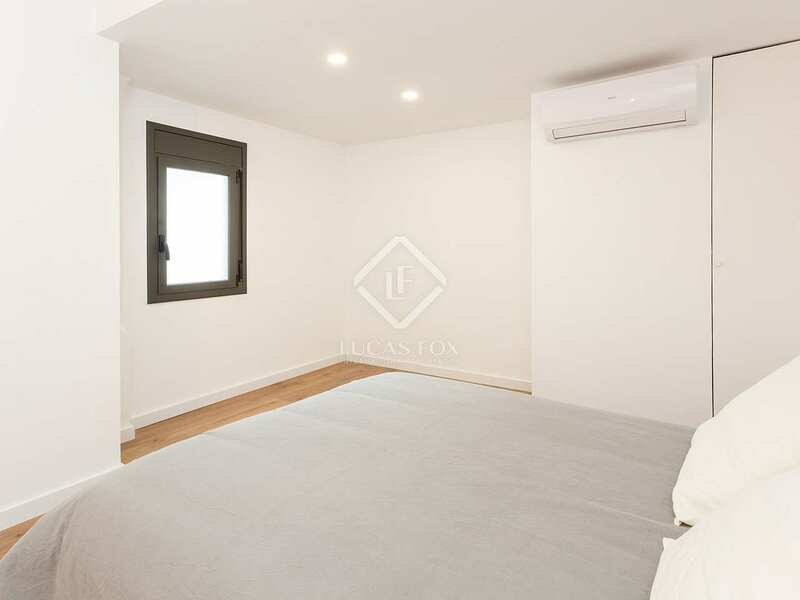 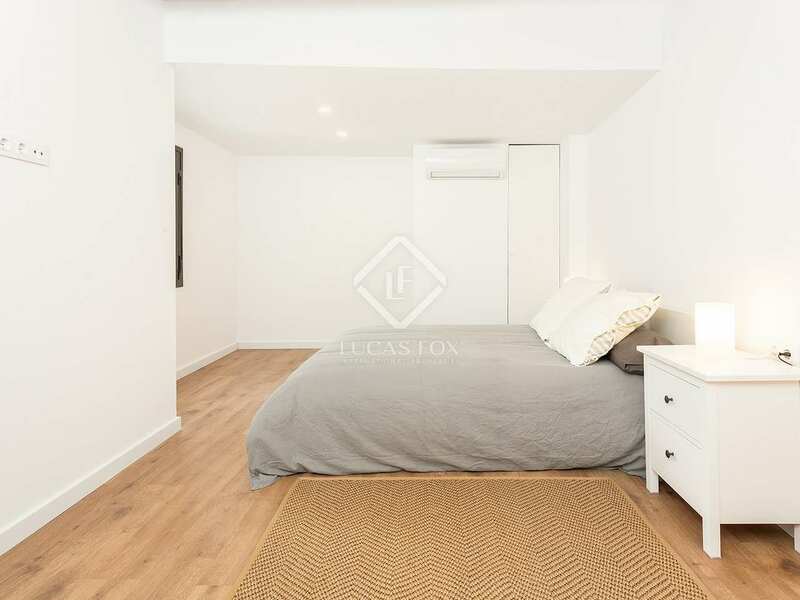 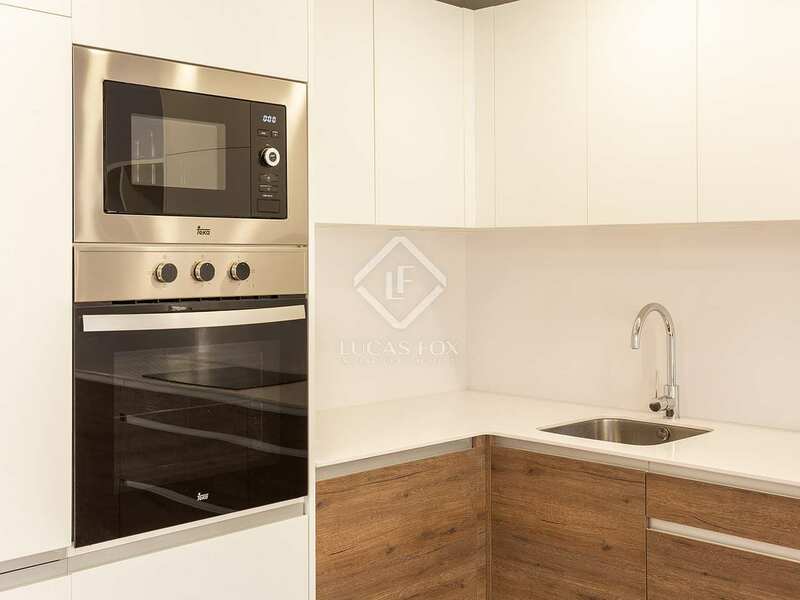 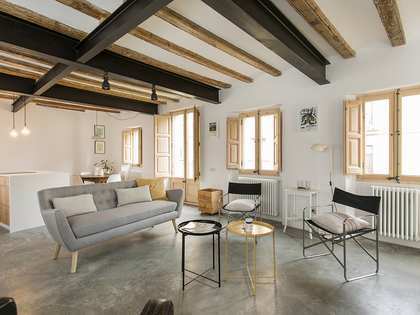 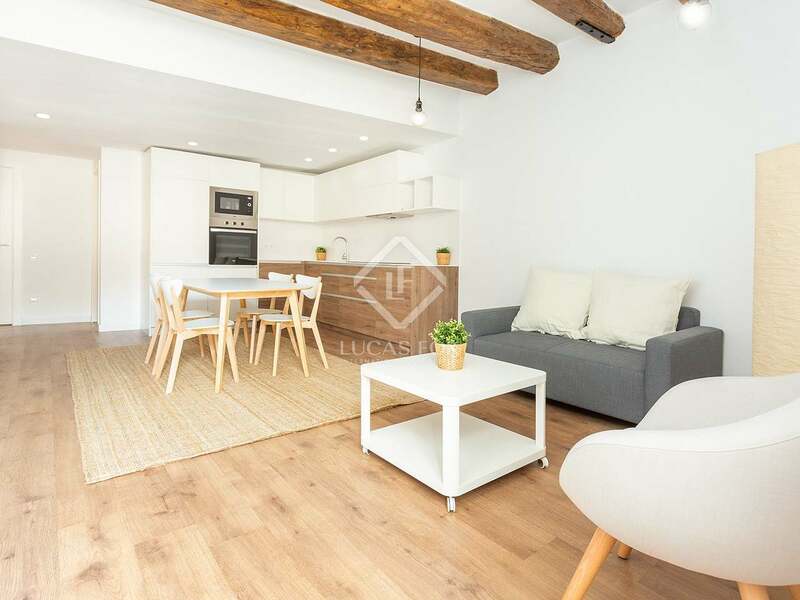 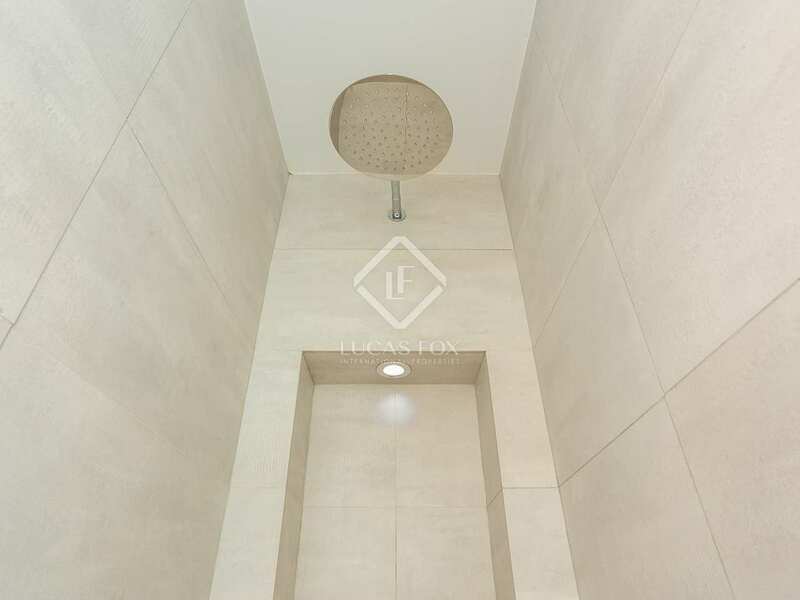 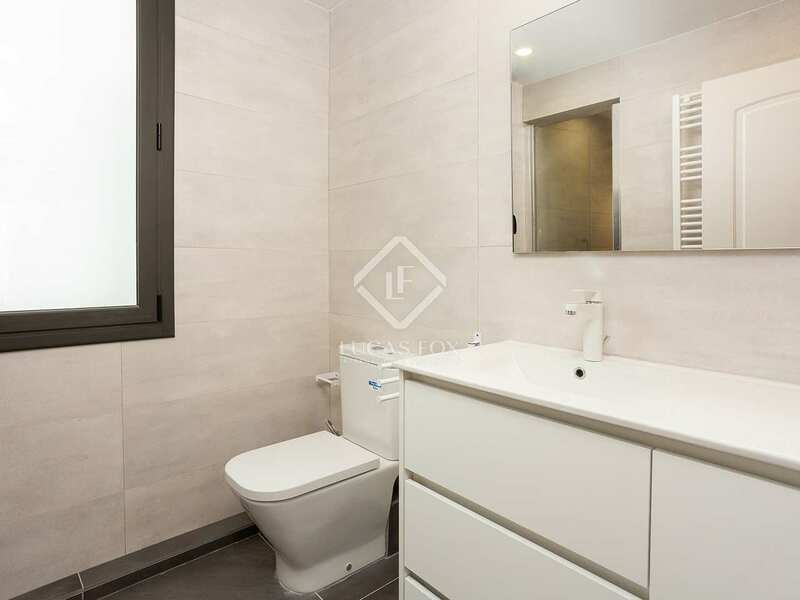 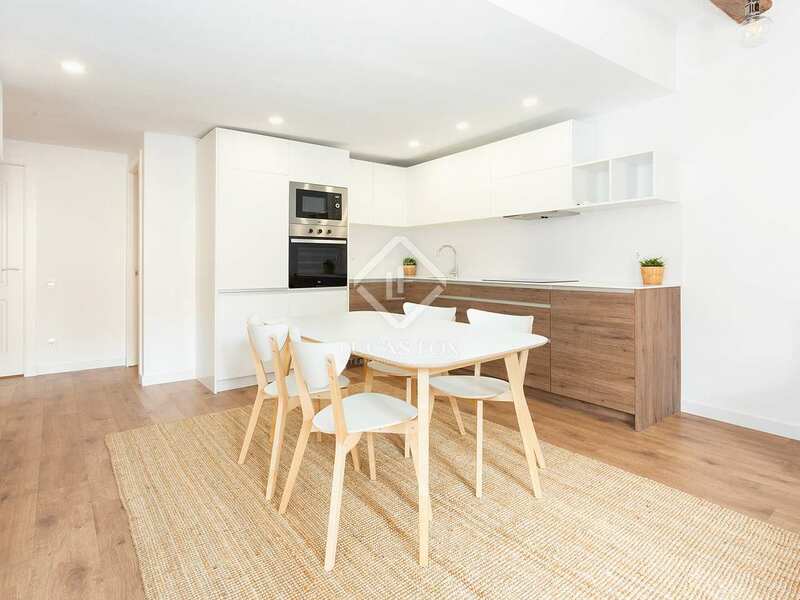 An excellent option for those seeking a renovated home in the very heart of Barcelona. 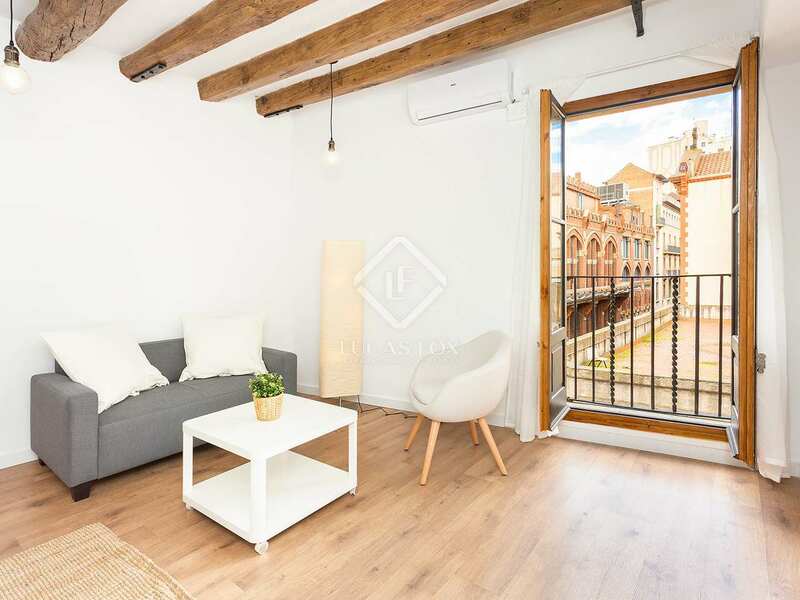 This property is located in the heart of Barcelona's El Born neighbourhood, with views of the Palau de la Musica Catalana concert hall. 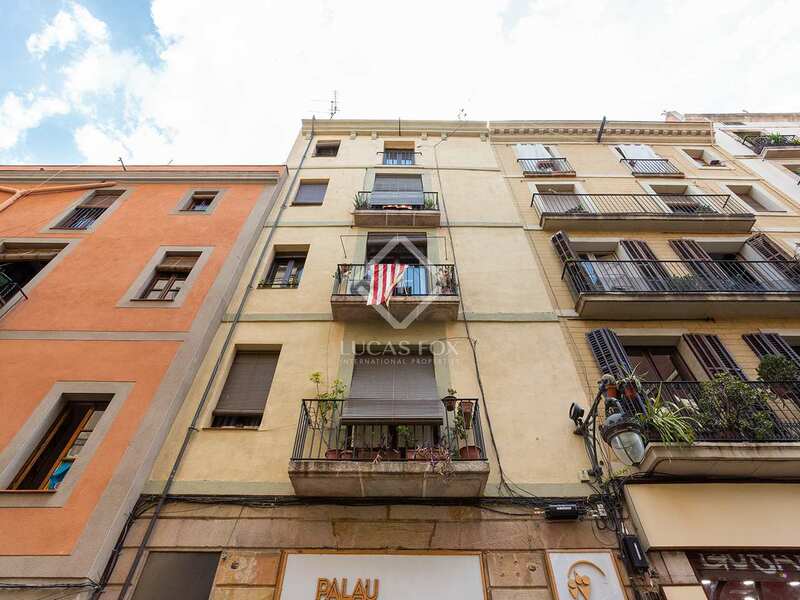 The charming Old Town has an abundance of shops, restaurants and cafes as well as an excellent cultural offering with museums and galleries. 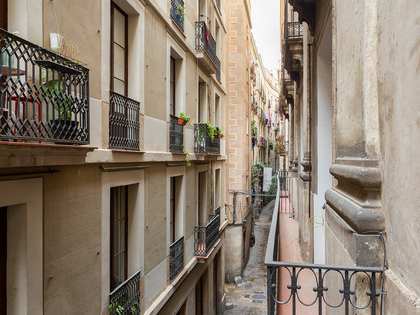 Excellent public transport links connect the area to the rest of the city.